Man 64 yo, for a long time abusing of alcohool, he himself detected abdomen distention. At MEDIC, ultrasound of abdomen and MSCT were done for him. Blood tests: normal liver function test, normal renal function, protide total 6,08 g/L; CEA =195 UI/mL. Other cancer markers: CA 19-9, PSA, AFP, beta2 MICROGLOBULINE =1651 (N=2000). ANA negative. 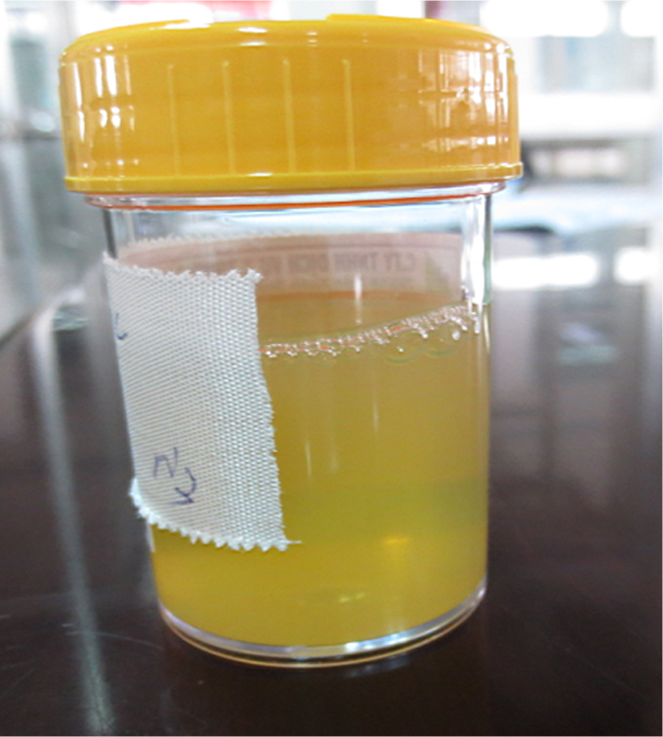 ASCITES FLUID removed by punction is in cloudy yellow color. 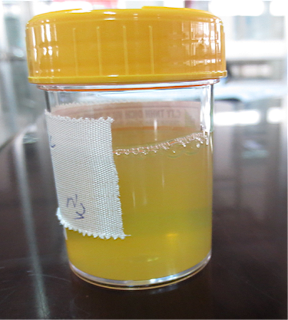 Ascites fluid analysis: cytology no malignant cell, 75% lymphocyte, protid 30,6g/L, sugar 5,3 g/dL, amylase not elevated. ADA = NEGATIVE , PCR TB = NEGATIVE. Summary = With blood test and ascites fluid test results , we try to find out cancer by gastroscopy, colonoscopy. MDCT TOTAL BODY and MRI abdomen also no detected cancer. 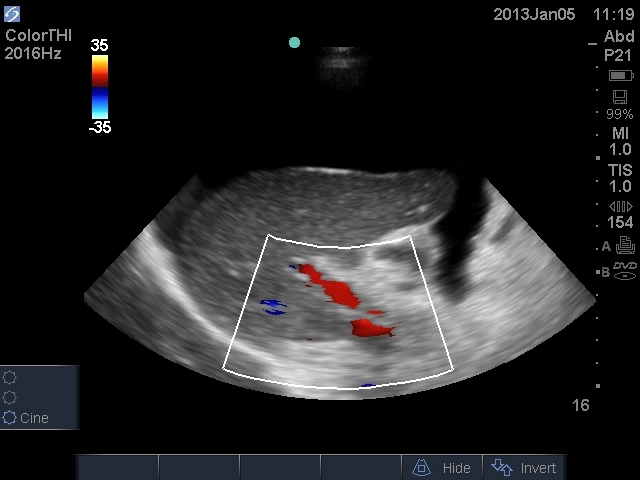 LAPAROSCOPY DETECTED MANY INTRAPERITONEAL AND PARIETAL SEEDINGS, AND ALSO ON GREAT OMENTUM. THE COECUM AND JEJUNUM WERE WALL-OFF AND ADHERANT TO THE ABDOMINAL WALL. LIVER SUSPECTED NORMAL. 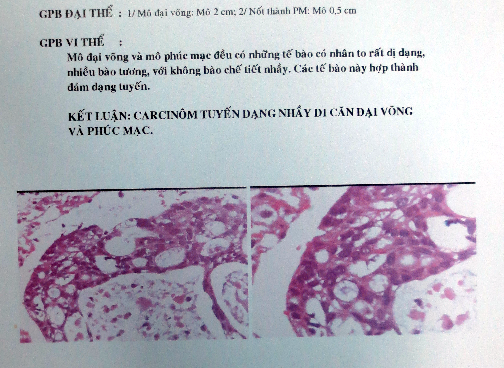 3 BIOPSIES RESULT PERITONEAL CARCINOMATOSIS. 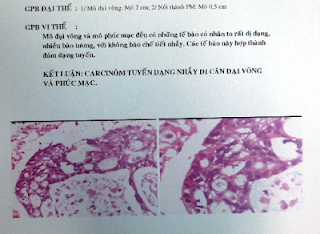 Microscopic report is mucineous adenocarcinoma metastasizing to peritoneum. 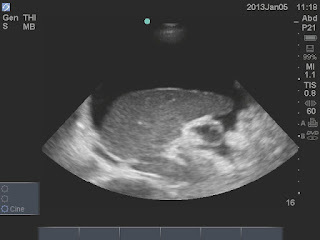 Discussion: why the diagnosis of this case delayed for one month after onset of ascites. Where is the primary cancer and what is the choice of treatment for for him from now on? 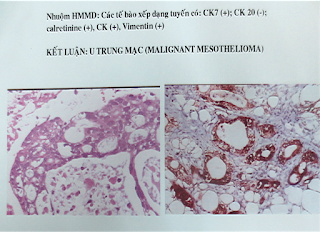 STAINING IMMUNOHISTOLOGICAL RESULT IS A MESOTHELIOMA. 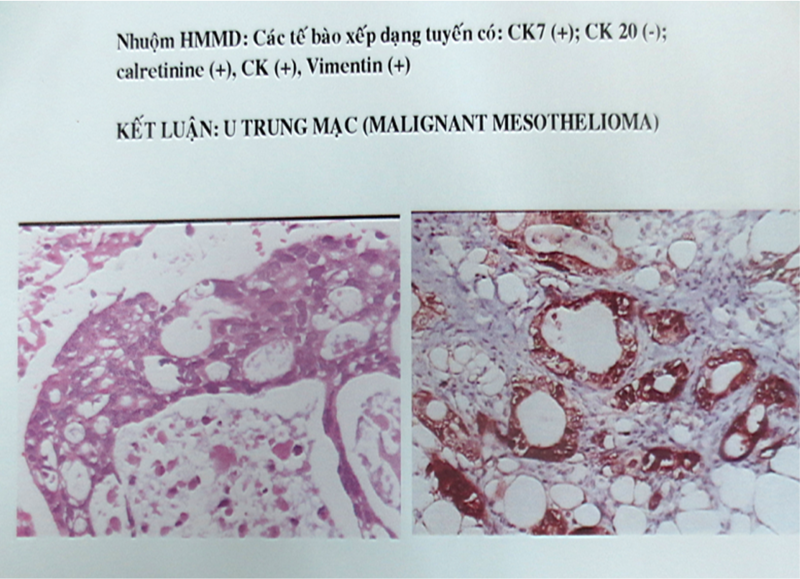 AFTER SPECIAL EXAMINATION BY HISTOIMMUNO, THIS REPORT IS INTRAPERITONEAL MALIGNANT MESOTHELIOMA.